Are you looking for a good bit of Halloween reading for your older children this year? How about Once Upon a Zombie? This is aimed at 8-14 year olds, very cool and super action-packed. The first book in a riveting new series for ages 8+ set in a mysterious and decaying fairytale world. This is not your grandmother’s fairytale! A fast-paced adventure, but underneath is a heartfelt message about empowerment and working through the difficulties that children face in life. Already a major children’s brand, popular Once Upon a Zombie dolls and costumes are available at Argos and other UK retail outlets. Social media features include Zombie makeup tips, music and videos with over 5 million YouTube views, 100,000 Facebook fans and 10,000 Instagram followers expected this year. unexplainablenews.com is reporting strange phenomena in cemeteries in Scotland, Germany, Italy, and America. Only one individual knows what’s happenng – and why! This person also knows the one girl who can prevent an unspeakable and imminent catastrophe from taking place. But will she? When Caitlin Fletcher’s mom disappeared (or left?) four years ago, Caitlin began suffering from breathless bouts of anxiety. Her new move to London, with her Dad and her brainiac sister, threatens to lead to more situations that will trigger panic. Now, she’s having anxiety over the possibility of having anxiety! 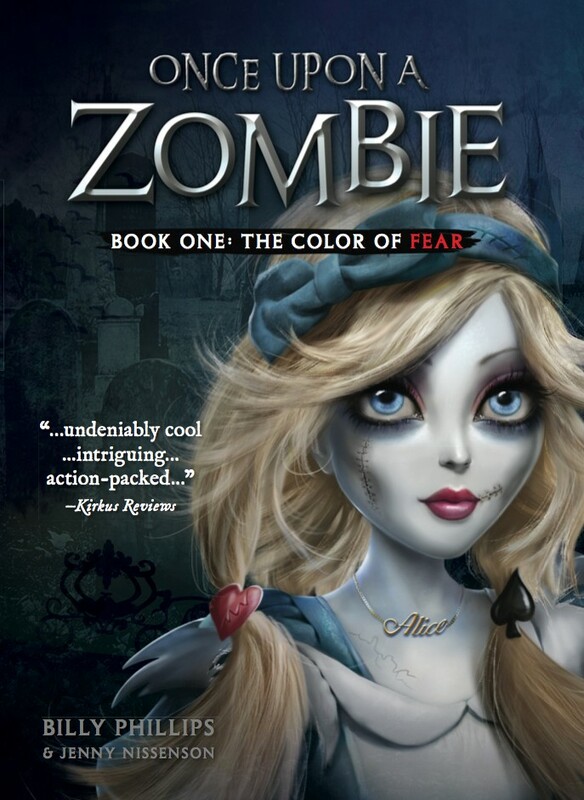 Caitlin’s life takes a turn for the bizarre when she’s tricked into climbing down a “rabbit hole,” landing in a wondrous fairy tale universe – except it’s crawling with savage, starving blood-eyed zombies. But what’s scarier – a blood thirsty zombie, a panic attack…or the painful truth?! A great Halloween read for older children, with some important messages too!